We know how important quality products are to most bicycle technicians. Spoke Works provides bulk workshop products to approved bicycle stores. 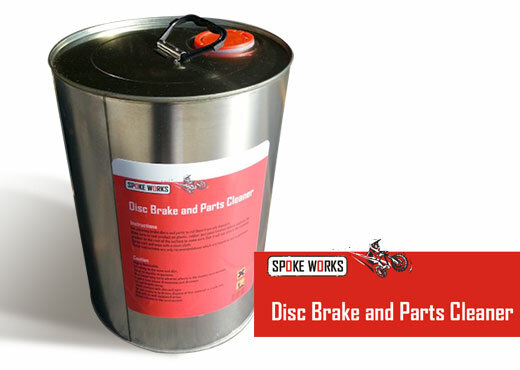 Our current range includes Spoke Works Disk Brake& Parts Cleaner and SMOOVE PREP – Chain Cleaner. 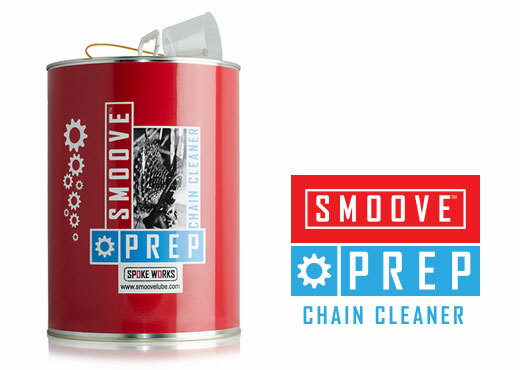 SMOOVE™ PREP is a chain and drivetrain cleaner specifically formulated to clean and dissolve SMOOVE™ Universal Chain Lube. It has natural citrus based active ingredients that are designed to neutralize SMOOVE™ with the least amount of effort in two easy steps. For cleaning brake discs and parts to rid them from oily deposits. Make sure to test the product on plastic, rubber and paint finishes before applying the product to the rest of the surface to make sure that it will not attach the material. Spray part and wipe with a clean cloth.